Select Size: Select Size3032343638404244 This item is currently out of stock! 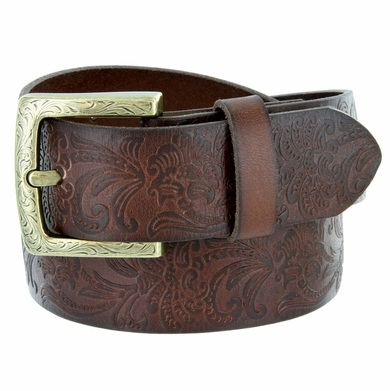 High quality Western floral engraved antique brass belt buckle with 1-1/2" wide one piece full grain leather belt. Buckle Material: Zinc with Antique Brass Finish.